Bethel Brethren Church in Berne, Indiana (Joe Nass, pastor) will celebrate its 116th Homecoming on Sunday, September 30, 2007, with former pastor Larry Edwards (pictured at right) as speaker. Edwards, who is currently pastor of the Southview Grace Brethren Church in Ashland, Ohio, will speak during the Sunday School hour and the morning worship. Edwards has been a pastor for 27 years. He is beginning his 14th year at Southview GBC. A native of the Mountain Top, Pennsylvania, he was a pastor 10 yrs in Berne, Ind. and three years for a church plant at Penn State University. Prior to being a pastor, he taught and coached baseball on the senior high level. A graduate of Grace College (B.S.- Physical Education, 1968) and Grace Theological Seminary (M. Div. –Christian Education, 1977), Edwards is currently finishing up his doctoral work in Pastoral Ministries. Pastor Larry and Darlene have been married for 32 years and are the parents of Amber Suzanne and Robert Hanshaw (Los Angles, Ca), Lindsay Johanne (Ashland), Benjamin Joseph III (Ashland) and Kelsey Joy-Marie (Ashland). They have one granddaughter (Amelia Grace). Former pastor Tim Placeway, now on the staff of the Grace Brethren Church in Elizabethtown, PA, will provide music for the morning and evening, with a special Placeway family concert at 7 p.m. that day. 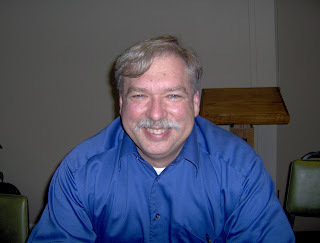 Placeway has been the Associate Pastor at the Elizabethtown church for 16 years. During that time he has served in the areas of youth ministry and music, growing to love and appreciate the people. He has a bachelor of Music Education from Grace College and a Masters of Science in Secondary Education from Indiana University. He has been married to Jill for 26 years and they have 3 grown children. A carry-in fellowship meal will follow the 11 a.m. morning service in the newly-completed addition to the church. A dedication service for the new facility will be held at 1 p.m.
Bethel Brethren Church is located at 718 E. Main Street in Berne, Indiana, 46711. Congratulations on your 116th birthday. Such a long term ministry of a church should be recognized.